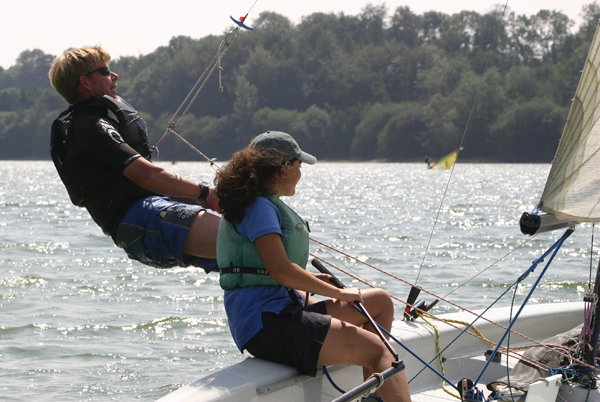 If you want to learn to sail we offer Adult and Junior Sailing Tuition and RYA Dinghy Sailing Courses – Try Sailing. We have courses from age 6 upwards. Suitable for those aged 16 and over. Whether you are ready to start sailing or want to learn to sail in West Sussex we can offer a variety of adult and junior sailing courses. 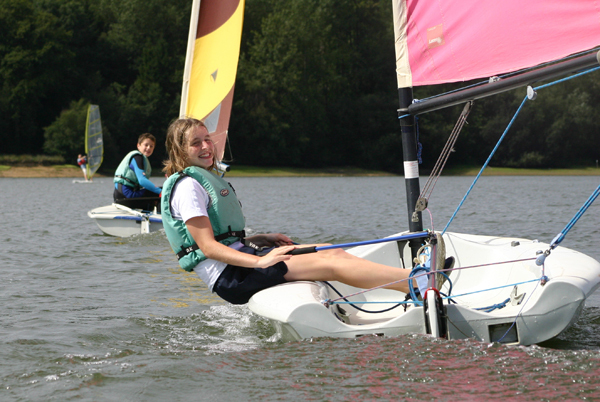 We also offer RYA Dinghy Sailing courses as well as running a sailing club and offering dinghy hire. Dinghy sailing continues to attract thousands of people each year. Some never tire of the enjoyment that comes from a leisurely afternoon’s sail, or quickly become involved in the exciting physical and technical challenge of racing. Others may have broader horizons, seeing dinghy sailing as the first step towards offshore cruising. If you’ve never sailed before you’ll be surprised how easy it is. Good tuition and sound advice mean you’ll learn quickly and get the most from your new sport. An RYA course is the best possible introduction to the lifetime hobby of sailing. 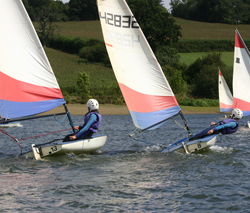 Wayfarer – A 16ft dinghy used for general training, a stable roomy boat ideal for teaching. 420 – A high performance spinnaker trapeze boat used for training. Iso – A state of the art racing dinghy, with a performance to make the adrenalin flow. Laser – A fast single hander, this olympic class boat provides a challenge for more experienced sailors. Laser 3000 – modern high performance dinghy with trapeze and high performance. Pico – An all-round fun boat, which can be sailed single handed or as a double hander with a jib. In performance and size, the Pico fits between the Topper and Laser. Topper – A lively single hander – fun and easy to sail, ideal for the beginner and young sailor. Optimist – Especially designed for young children to sail single handed, safe, stable and great fun. Feva – A good professional boat, fun with one to three sails.